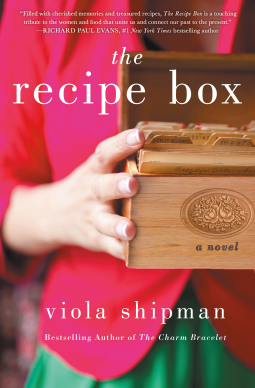 What They Say......In The Recipe Box, bestselling beloved author Viola Shipman spins a tale about a lost young woman and the family recipe box that changes her life. What I Say.....Sam fled her small town to live and thrive in the big city of New York. But she isn't exactly thriving. She's working for a jerk, but he's a jerk who has the power to fire her, and he does. Sam slinks home with her tail between her legs to celebrate the family orchard's anniversary. As she begins working and baking with her mother and grandmother, she finds her spirits lifting. I'm still trying to wrap my head around why Sam would have ever felt the need to flee this perfect family in this perfect town. The best part of the book was the recipes - I want to try them all!